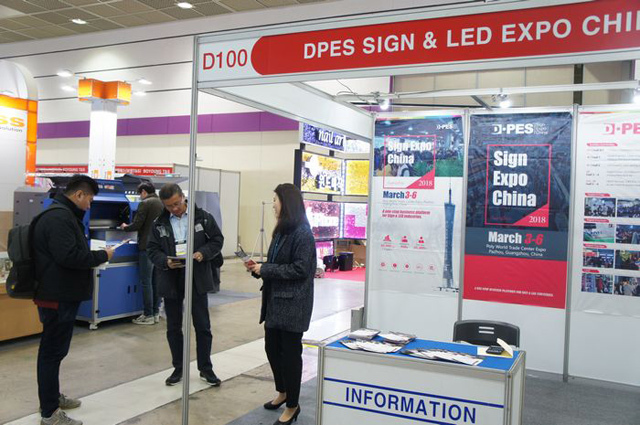 Only two days after Sign Expo Asia in Bangkok, DPES promotion team went to Korea to attend KOSIGN 2017, which was held in COEX, Seoul on Nov. 16-19. 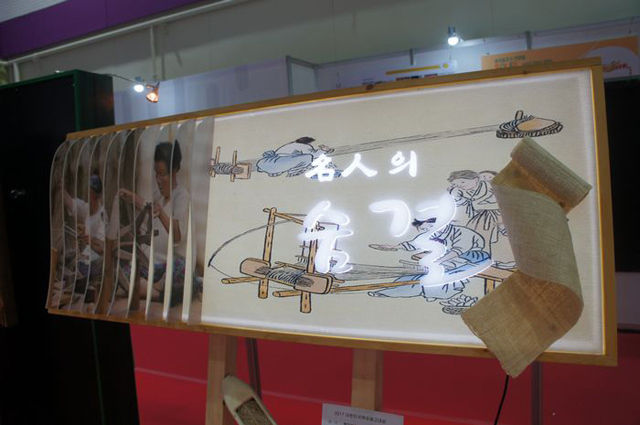 The Opening Ceremony was held simply at 10:00 in front of Hall A, COEX. 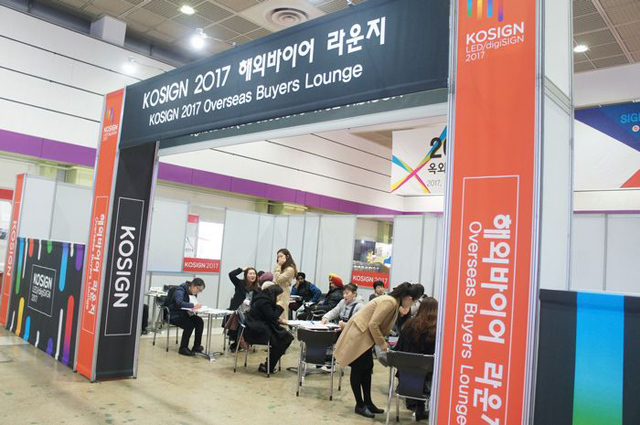 KOSIGN 2017 set up a "Overseas Buyers Lounge" as before, supplying English and Chinese translators for overseas buyers. 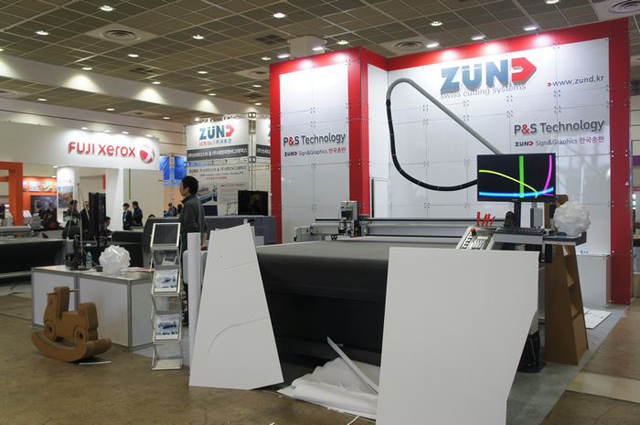 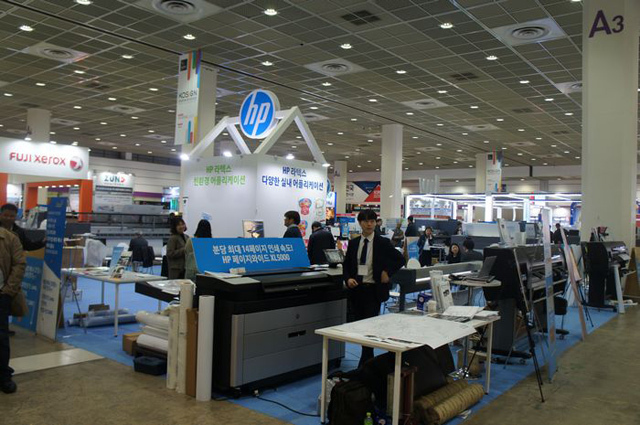 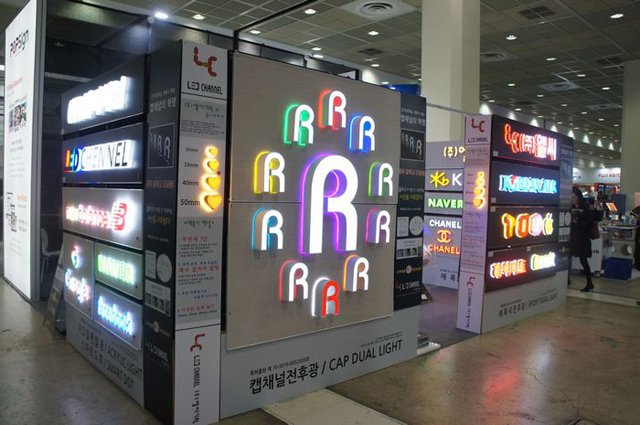 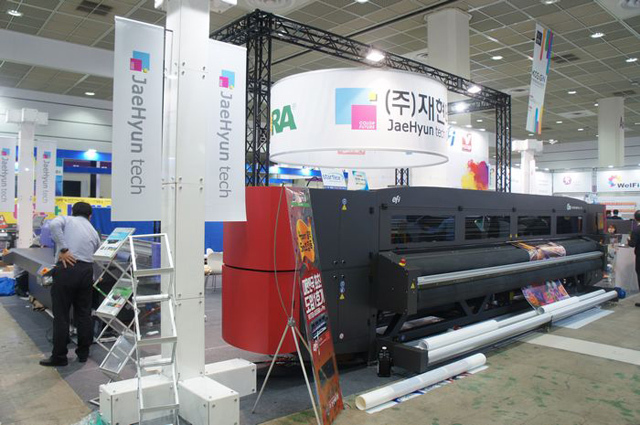 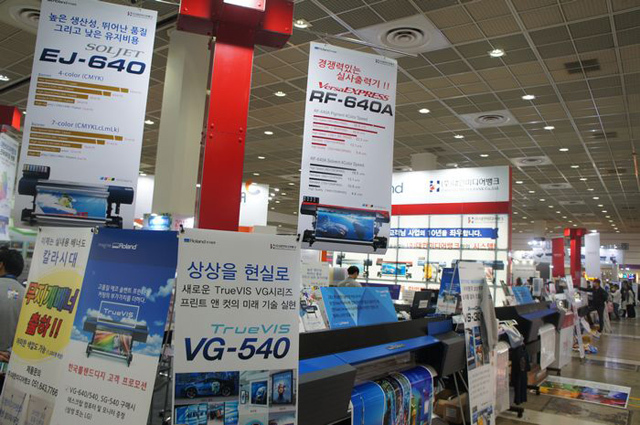 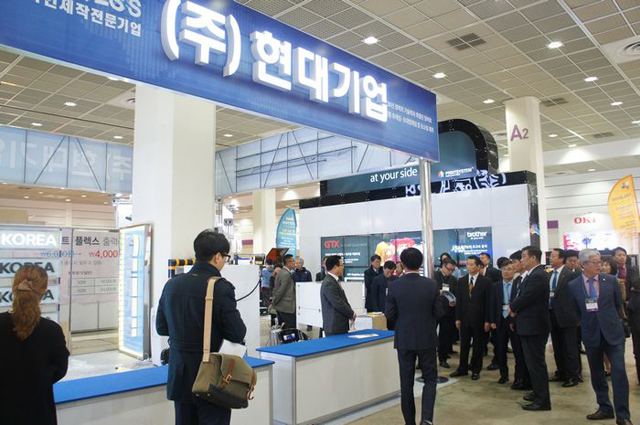 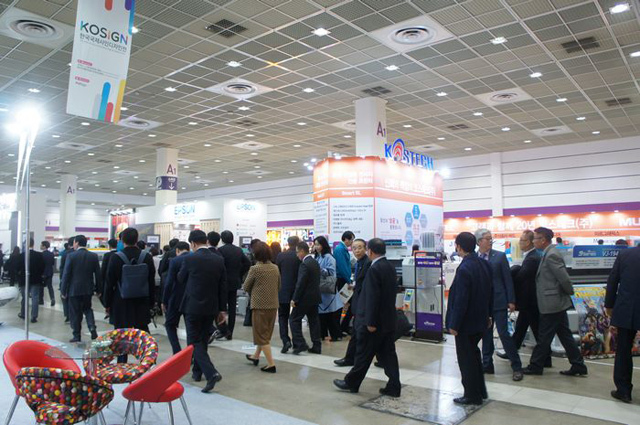 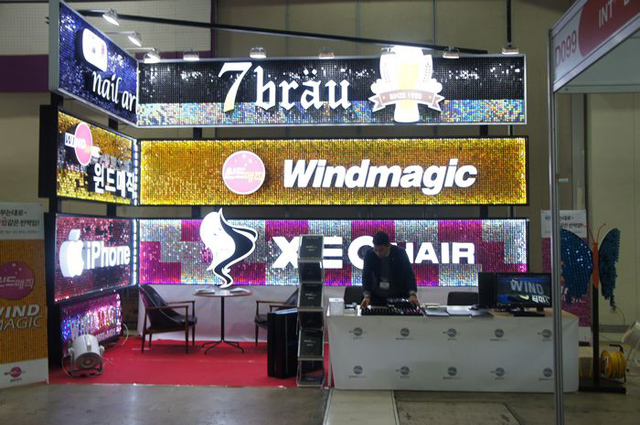 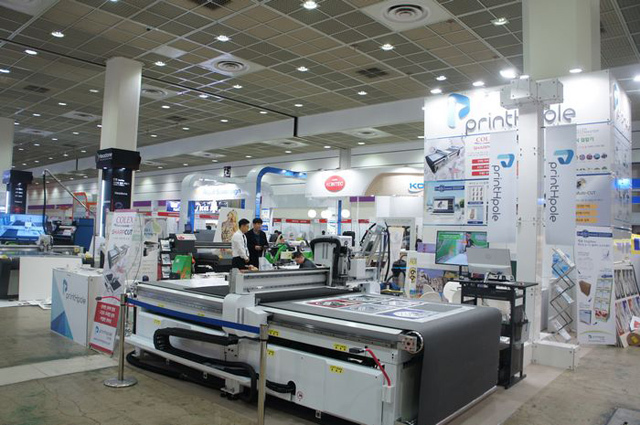 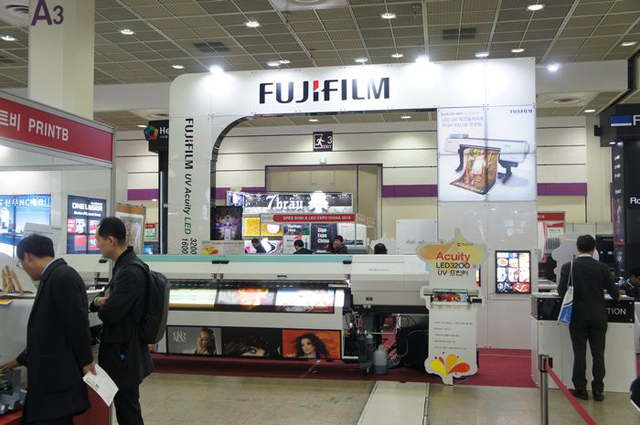 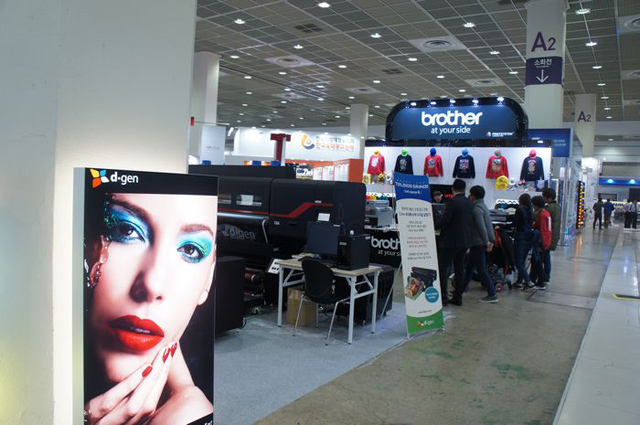 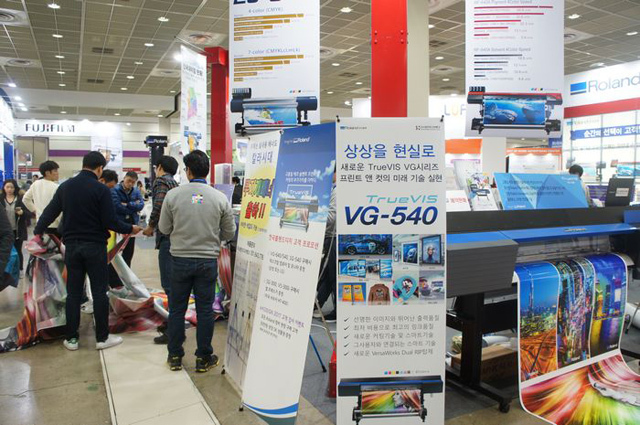 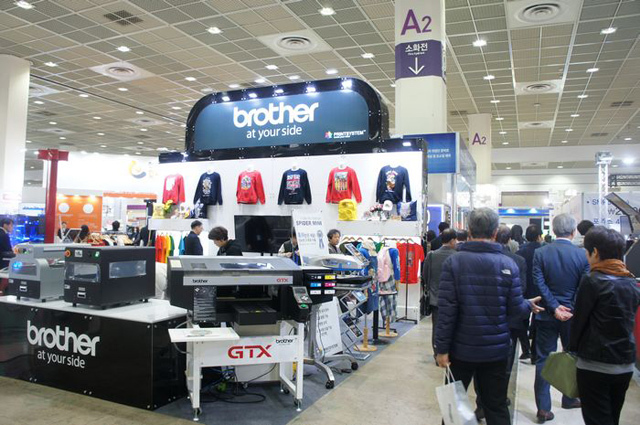 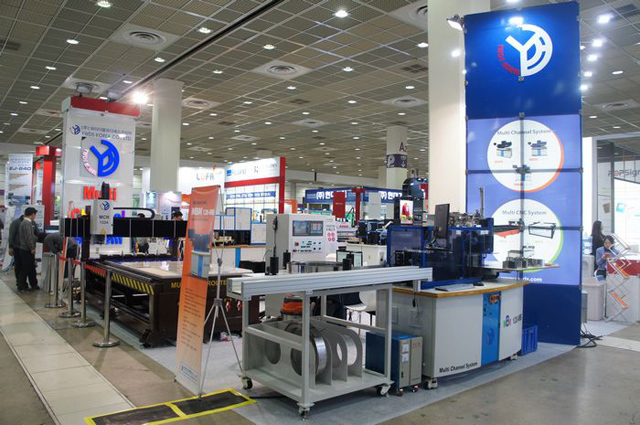 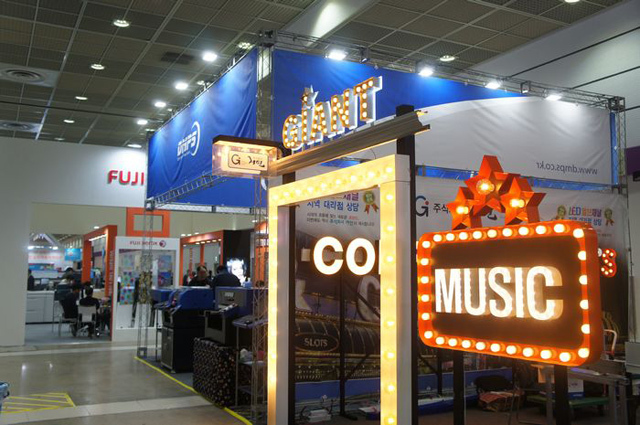 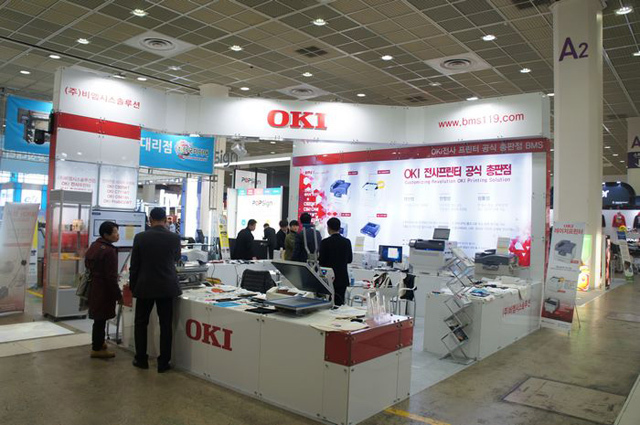 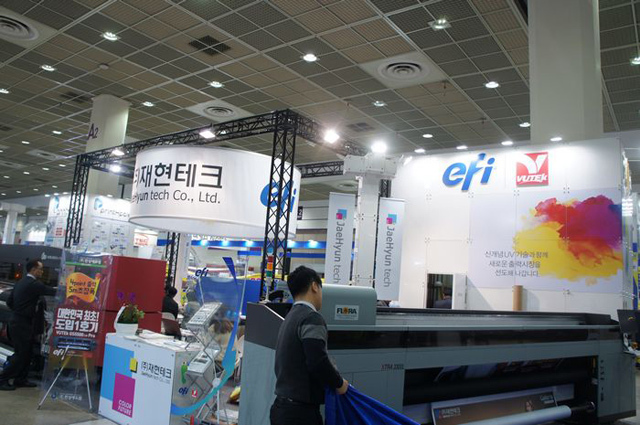 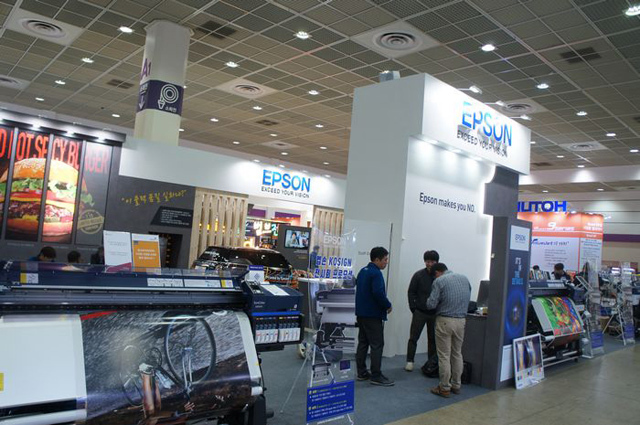 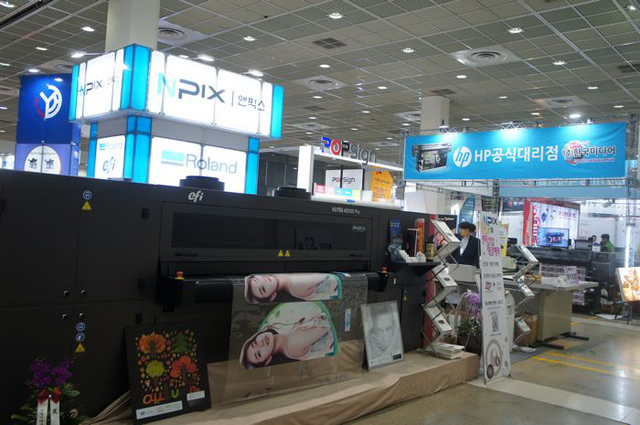 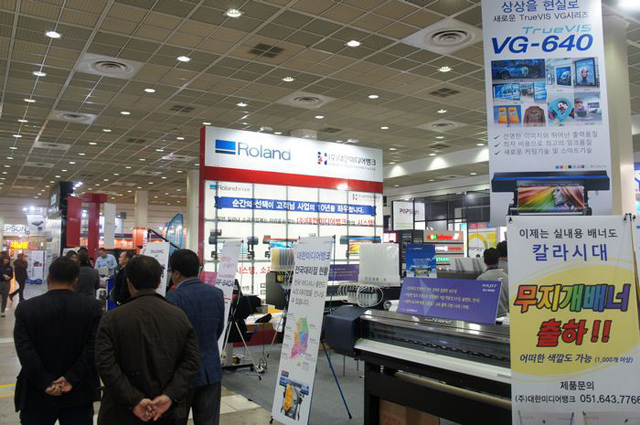 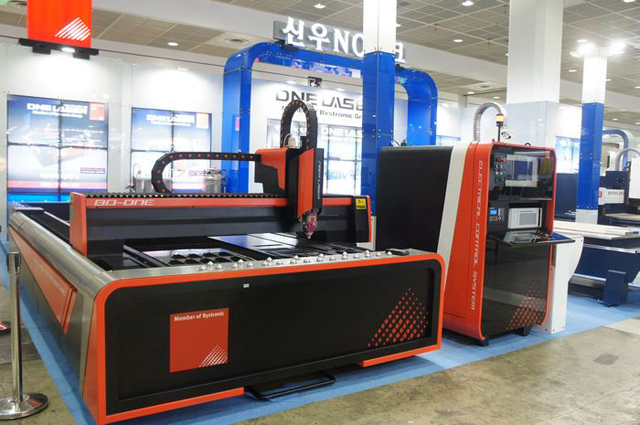 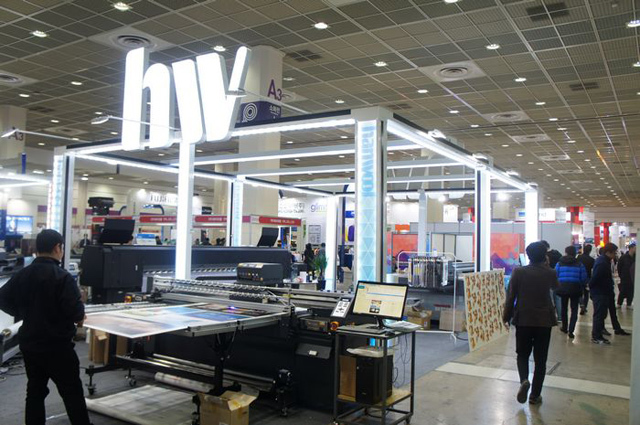 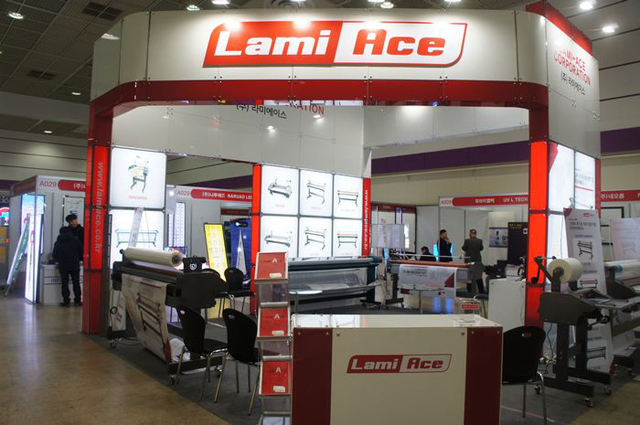 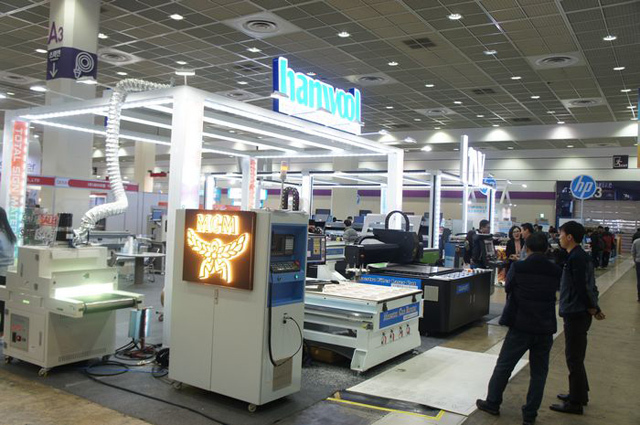 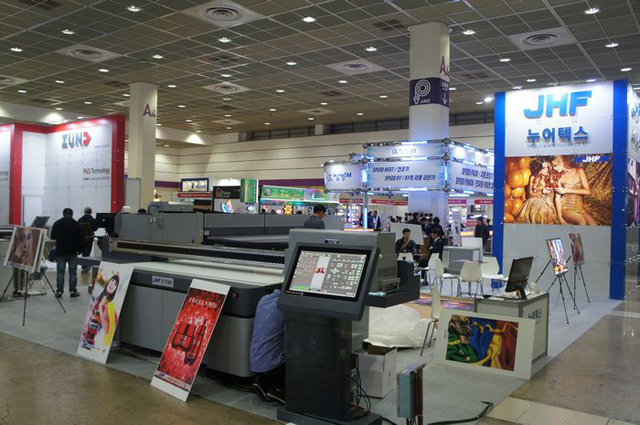 For 25 years, KOSIGN has been the largest scale exhibition for the Korean outdoor advertising industry and Korean digital printing equipment and materials industry. 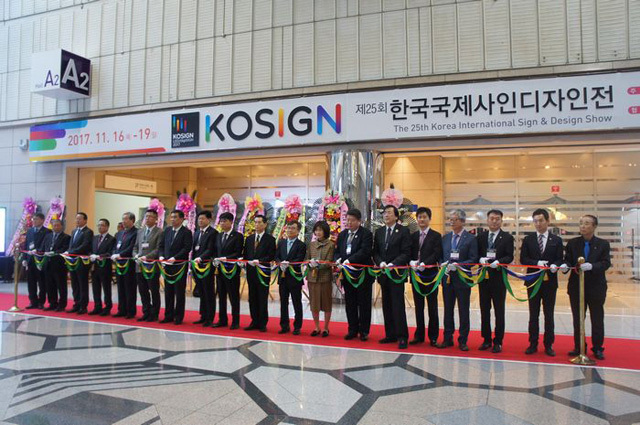 KOSIGN 2017 occupied 10,369 sqm and there were 120 exhibitors home and abroad attending the show. 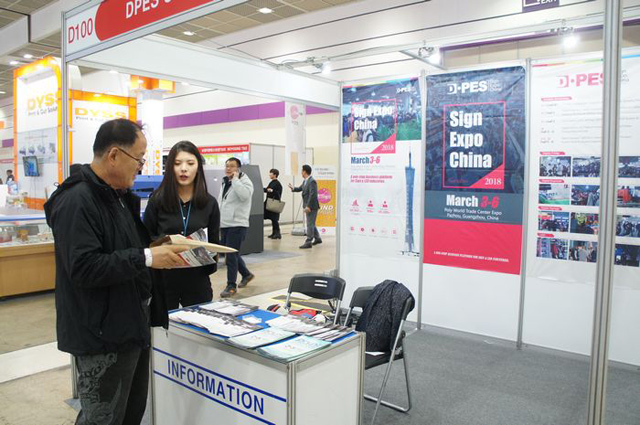 DPES staff introduced DPES 2018 to the professional visitors. 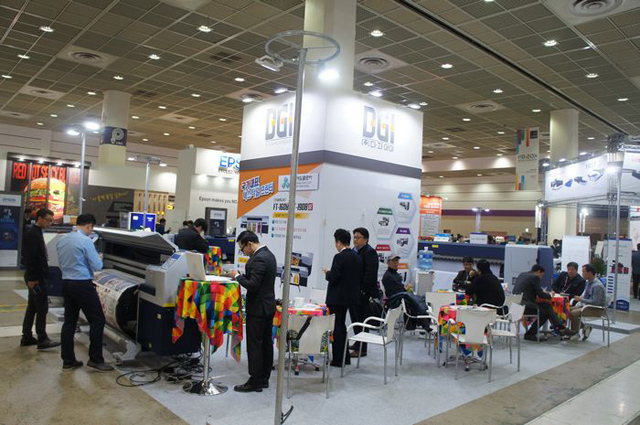 Most of them showed great interest in our newly-open Consumable Hall. 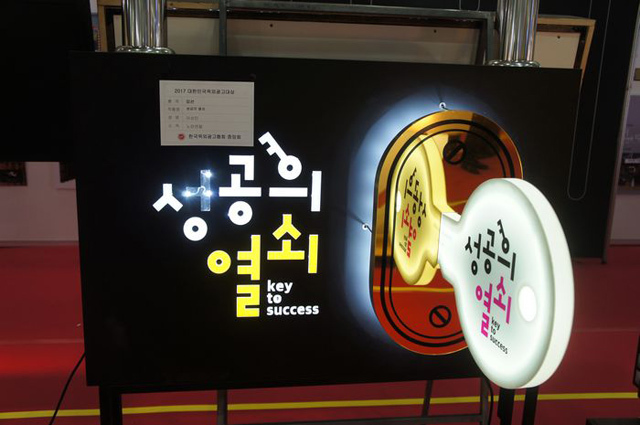 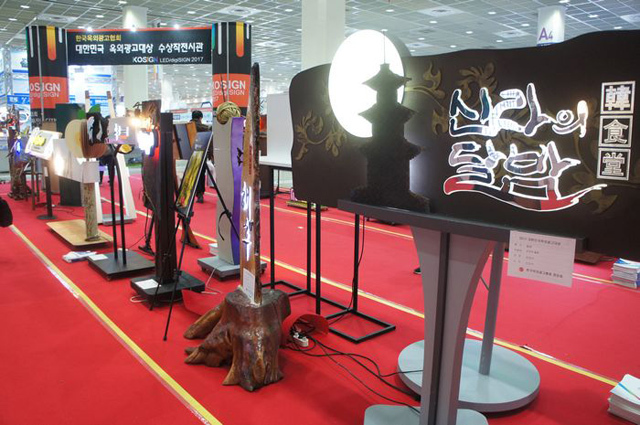 There were different rich activities during the show, such as over 100 meetings of "Biz-Matching Program", Korea Sign & Design Awards 2016, Prize-Winning Works of 2015 Signscape Competition, etc. 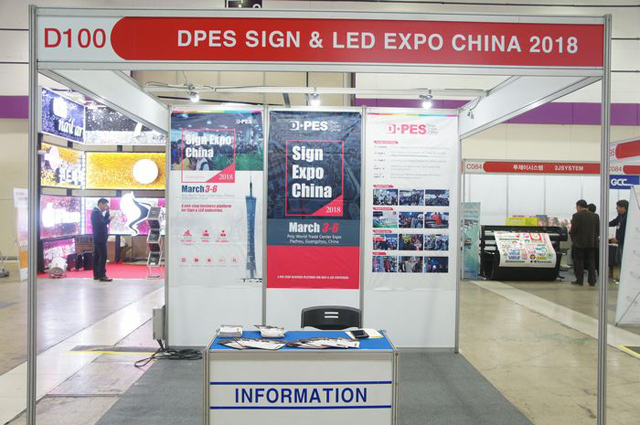 These activities combined exhibitors and visitors together and added a lot of active atmosphere to the show. 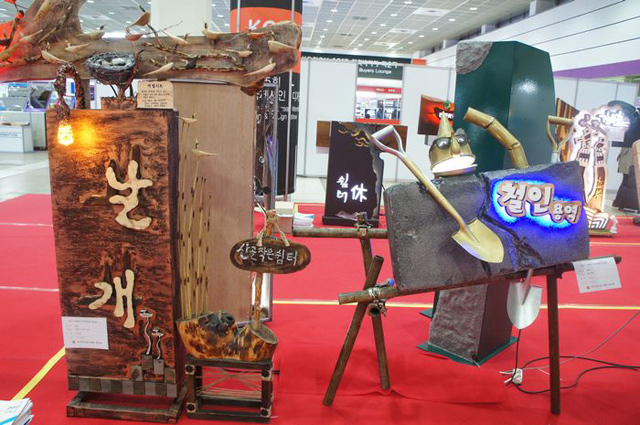 There were over 40 works displayed at the "Korea Sign & Design Awards 2016" area. 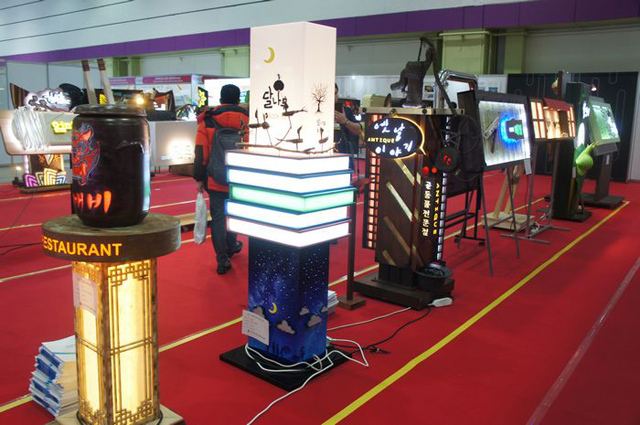 The Awards honored the works that promoted a healthy and well-organized city environment through innovative outdoor advertising. 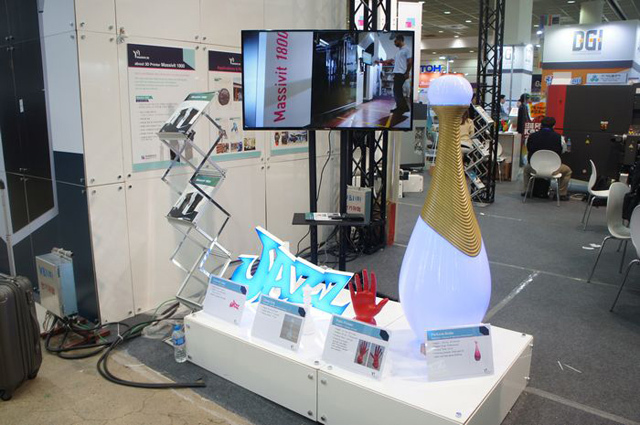 The competition was divided into two categories: existing advertisements, and new creative content. 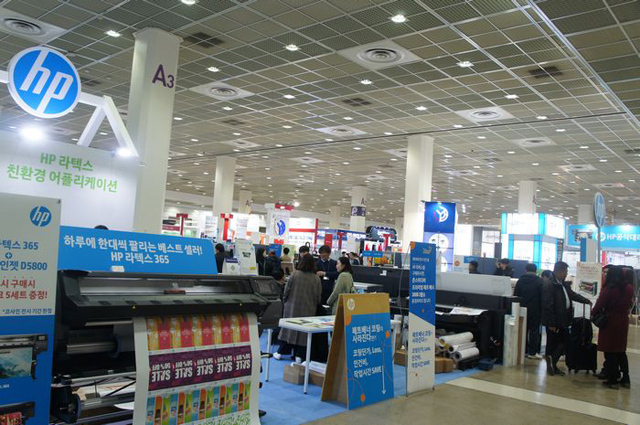 Same as before, KOSIGN 2017 used Hall A of COEX, the total area was 10,368 sqm. 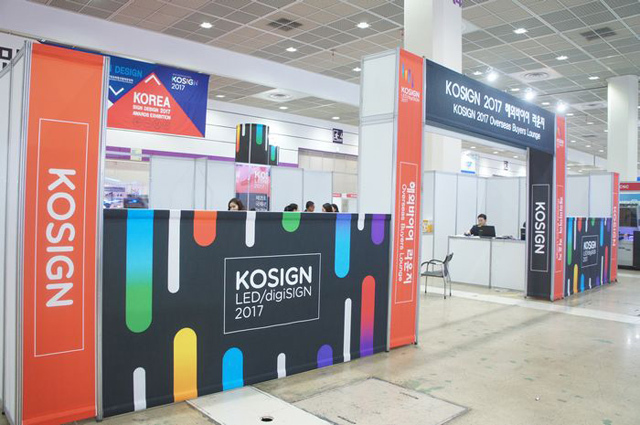 There were total 120 exhibitors in KOSIGN 2017. 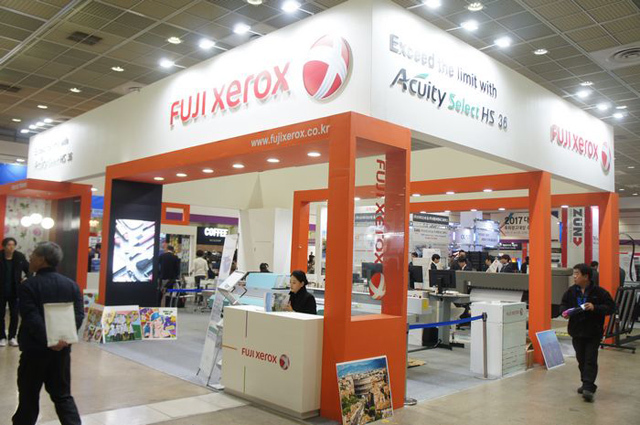 The famous brands included: HP, Fuji Xerox, d·gen, Kostech, Epson, Brother, DYSS, Mutoh, Zund, Roland, OKI, DGI, efi Vutek, JHF, Flora, hanwool, HRT, MARCUS, etc. 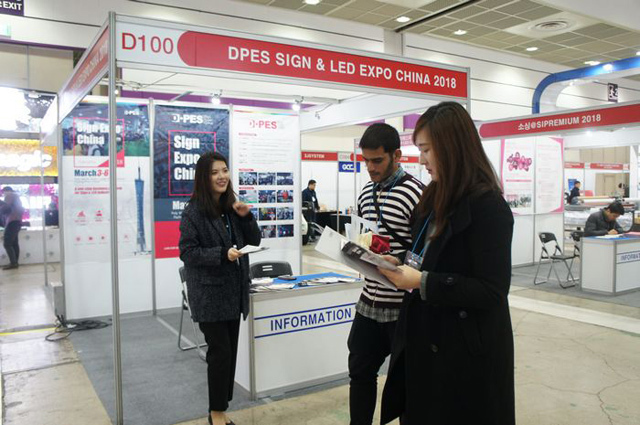 DPES 2018 Ad. 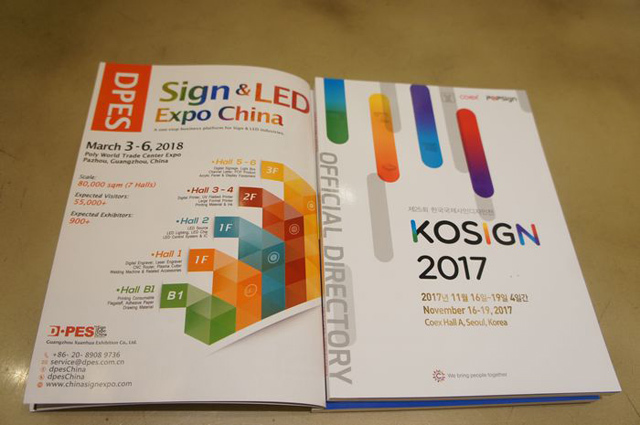 page in KOSIGN 2017 Official Directory.